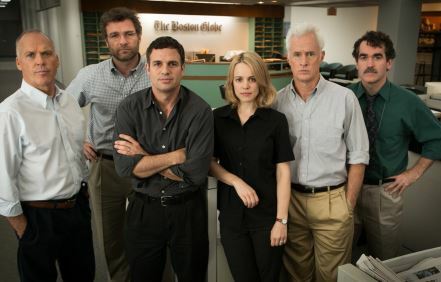 “Spotlight” tells the riveting true story of the Pulitzer Prize-winning Boston Globe investigation that would rock the city and cause a crisis in one of the world’s oldest and most trusted institutions. When the newspaper’s tenacious ‘Spotlight’ team of reporters delve into allegations of abuse in the Catholic Church, their year-long investigation uncovers a decades-long cover-up at the highest levels of Boston’s religious, legal, and government establishment, touching off a wave of revelations around the world. “Spotlight” is a tense investigative thriller, tracing the steps to one of the biggest crime stories in modern times. 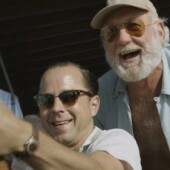 As part of KWFF’s Critics’ Choice program, Ann Hornaday, film critic for the Washington Post will host a Q&A with Ben Bradlee Jr. of The Boston Globe. Cocktail Reception at Audubon House to follow Q&A.